With the increase in combustion pressure from performance engines in recent years, the burden placed on the head gasket has grown tremendously. To maintain the highest precision possible in a high performance assembled engine strict measurements and maximum sealing is required with the right torque values on each head studs and bolts are required to keep everything together to gain the most out of your engine. When bolts are screwed into place, regardless of the bolt type and strength qualities of that bolt, the pressure is always on the first 3 threads of the screw which takes the most stress. If the cylinder block is badly distorted then the screw threads can be damaged as well. Stud bolts with dynamic designs allows the screw bolt to take on equal stress on all threads which will greatly secure maximum sealing pressure for race and airplane engines. Since the cylinder capacity can fluctuate with the thickness of gasket used, the compression ratio can be adjusted with the thickness of the gasket. The gasket thickness will help with the final adjustments to get your setting closest to the target compression ratio. 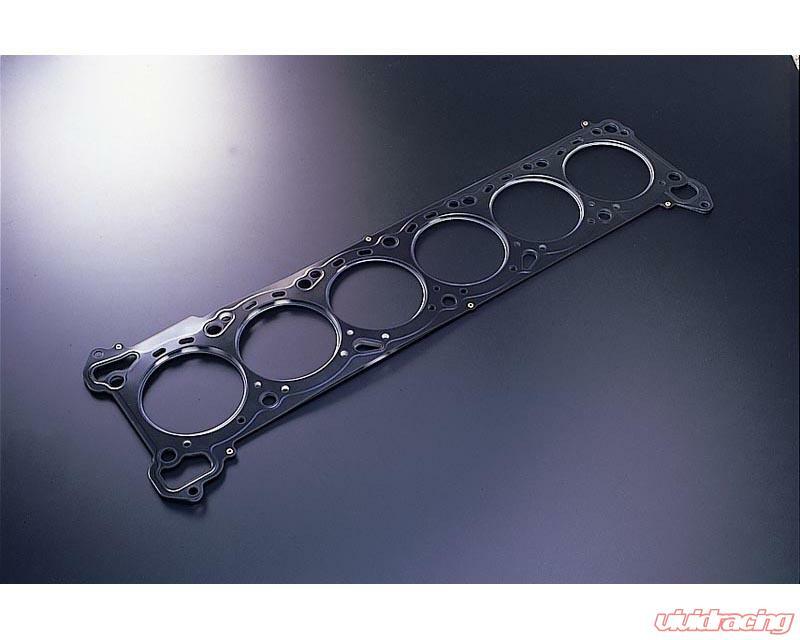 Stainless steel was chosen as the head gasket material because of the heat conductivity efficiency of stainless steel to evenly distribute the heat and aid with cooling. This will greatly improve reliability and reduce the chances of a blown head gasket. The natural high tensile qualities of Stainless Steel greatly increases the joint rigidity of the cylinder head with the cylinder block. This helps minimize the chances of the engine warping when under severe stress loads that performance engines go through when running high power applications. The result is improved durability and added power gains.